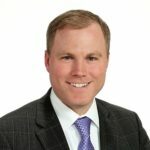 Jeff Hyslop was named Senior Vice President of Asset Management in January 2018. Mr. Hyslop leads the Asset Management team, which is focused on maximizing performance and value of InnVest’s portfolio of hotels. Mr. Hyslop has over 20 years of experience in the hospitality industry including 12 years in progressive Asset Management roles. Prior to joining InnVest he held senior roles at Pomeroy Lodging, Westmont Hospitality, Legacy Hotel REIT and PKF Consulting. Mr. Hyslop started his career in the hospitality industry in many front line positions at hotels in Toronto, Vancouver and New Brunswick. Mr. Hyslop received his Bachelor of Commerce from the University of Guelph’s School of Hospitality and Tourism Management and has a Certificate in Urban Land Economics from the Sauder School of Business at UBC.